you can say, "My learners can think, and I can prove it!" systematic approaches to solving real-world problems. and become part of their normal cognitive processes. 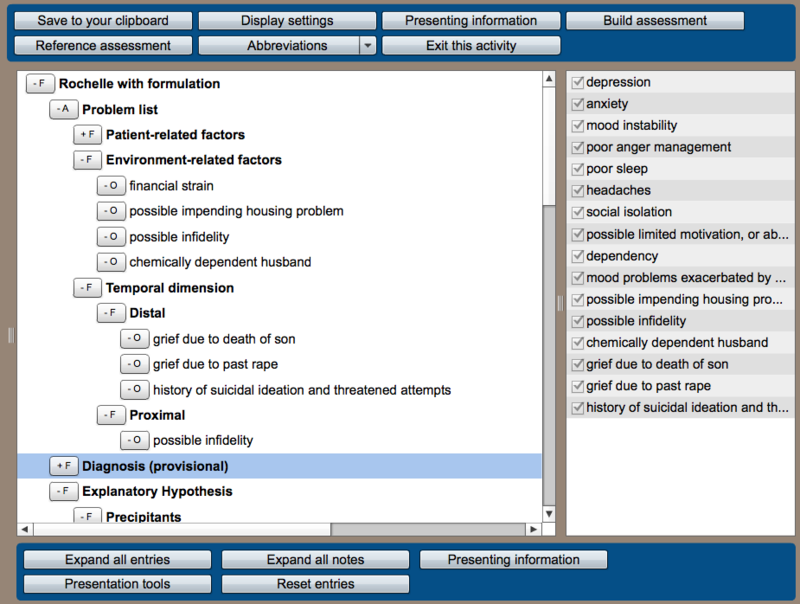 outlined Evidence-based Assessment for any domain at any level of detail. learners reassemble an author's evidence-based assessment. or build a repository of activities for use throughout their discipline. the abilities to type, select text, copy, and paste. we can create applied learning activities for you. 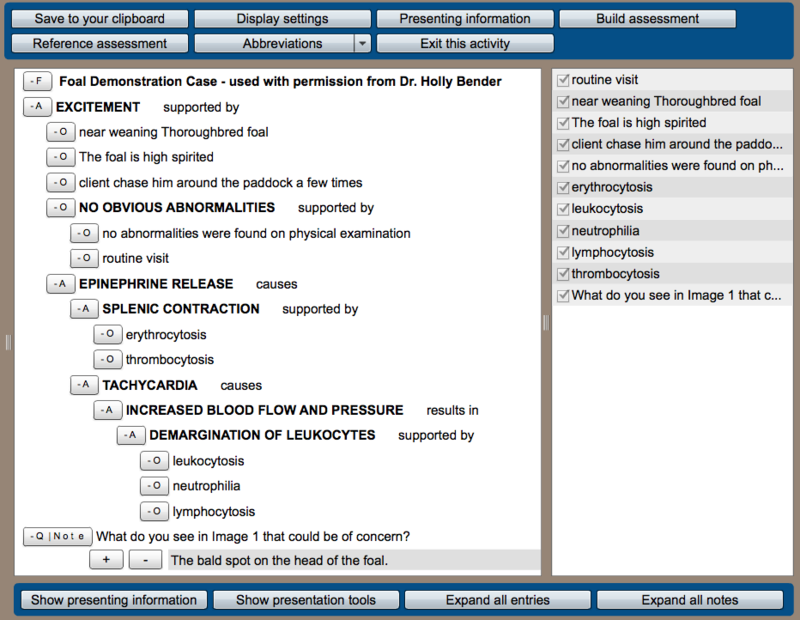 The Applied Learning Platform uses a word processing document to deliver interactive applied learning activities such as exercises, cases, and scenarios to learners. This means that an activity can reference any word processor compatible data such as images, tables, reports, and links to Internet resources. 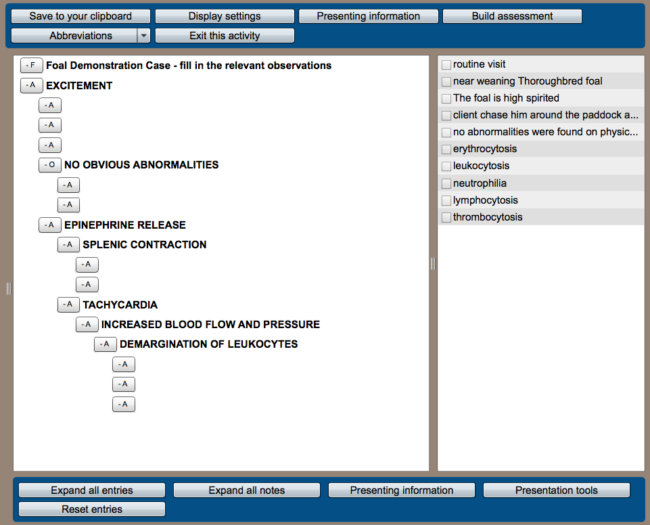 Learners use the Applied Learning Platform at this website to work through an activity, and then save their work in a word processing document on their own computer, and/or submit it to an institution's course management system. This ensures privacy, in that no work by educators or learners is stored on this website. Results of working through an interactive applied learning activity can be printed and brought to class as evidence of pre-class preparation or for peer-evaluation. Activities can also be used during class as team-based learning exercises, or by educators to model critical thinking skills to learners. The Applied Learning Platform supports framework-assisted thinking through the use of educator-defined guiding and general frameworks. These frameworks provide guidance and explicit systematic approaches to solving similar problems. Frameworks can initially be included in activities when learners need guidance, and gradually removed as learners grow in competence. The goal is that learners will internalize these frameworks as a consistent part of their problem solving processes. The Applied Learning Platform is the exact opposite of an expert system. An expert system provides expertise to its users; the Applied Learning Platform is used by educators to build expertise in its users. To learn more about the Applied Learning Platform, please read Best practices for adoption. Demonstration videos are available. 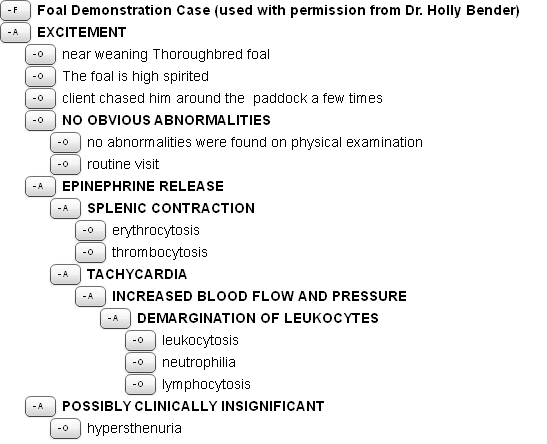 The sample assessment from veterinary medicine shown above is more fully explained here. Additional resources are provided under the Learning Center option of the main menu. Click here to test your Flash Player installation. You should see a bouncing red cube. Click here to start the free Basic Version of the Applied Learning Platform. Contact us for access to the Advanced version.